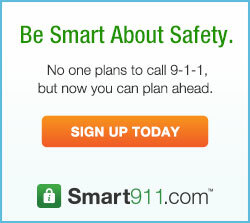 Create your Smart911 Profile here. This will assist emergency responders identify the individual that has called 911 for assistance and help get the care that is needed in a more efficient manner. The Assessor's office maintains current appraisal and assessment records, makes changes in valuations as they occur, stays abreast of property transactions within the county and keeps a file on properties updated throughout the year. Personal property assessments must be made by May 31st of each year. County business services include corporation declarations, professional license registration, DBA (Doing Business As) declarations, minister's certificates and Notary Public registration. County and circuit courts file dockets and official court records with this office. 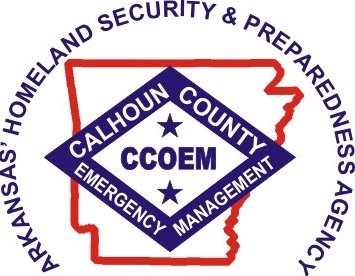 Calhoun County Office of Emergency Management extends our services to assit local individuals in emergency planning. In the position of Emergency planning for the county, it is understood that in order to prepare locally for a disaster it is best to begin with the individuals that reside within our county. For more information on preparing your household or business for a disaster (natural, man-made, etc.) please feel free to contact Christy Schalchin at the Calhoun County Office of Emergency Management. Court summons, warrants, orders, judgements and injunctions are some of the legal documents issued by this office to support county law enforcement efforts. Contact the County Clerk for information regarding laws and ordinances specific to Calhoun County. Marriage licenses are issued and recorded in this office. The fee for a marriage license is $60.00 and both parties must be present with valid ID. The following records are maintained by this office: real estate taxes, personal property taxes, marriage, county courts, county roads, county schools, probate, corporations, wills, voter, mining, and cemetery. Report suspicious activity or safety hazards. Sign up for alerts and stay informed. County services include pothole patching and crack filling of asphalt pavements, grading of unpaved roads, shoulder repair along with guard rail maintenance and replacement, traffic sign maintenance and replacement, pavement striping, bridge inspection and maintenance, drainage structure maintenance such as culverts and ditches. County jail, warrants, crime prevention, criminal investigation, noise complaints, child abuse investigation and law enforcement. Personal property and real estate taxes are collected in this office. Personal property and Real Estate taxes are due by October 15th of each year.